Traditions of the season include the making of New Year's resolutions. That tradition also dates back to the early Babylonians. Popular modern resolutions might include the promise to lose weight or quit smoking. The early Babylonian's most popular resolution was to return borrowed farm equipment. Traditionally, it was thought that one could affect the luck they would have throughout the coming year by what they did or ate on the first day of the year. For that reason, it has become common for folks to celebrate the first few minutes of a brand new year in the company of family and friends. Parties often last into the middle of the night after the ringing in of a new year (you don't say). It was once believed that the first visitor on New Year's Day would bring either good luck or bad luck the rest of the year. It was particularly lucky if that visitor happened to be a tall dark-haired man. 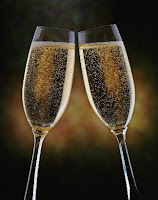 Happy New Year from all of us @ Chinowth & Cohen REALTORS! I've never been too keen on purchasing Christmas gifts for adults. Christmas and Santa seem to me to be important for the kids, but do adults really need more stuff? All I want for Christmas is to have healthy and happy friends and family surround me. Oh, and food. And wine. 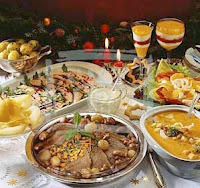 This Christmas, my husband's and my gift to each other is a holiday buffet for friends. We open our home to friends who may be unable to travel to be with family, the divorced parent who doesn't have visitation this year, single individuals who don't want to be alone and/or cook for themselves. It's a hodge-podge of guests, for sure, but we have a great time. Everyone can come and go throughout the day - no schedule, no dress code. My fav holiday recipe is Barefoot Contessa's sweet potato casserole with heavy cream, orange juice, nutmeg, cinnamon, apples and more (thank you Janice & Andrew for that f abulous cookbook). Also, it wouldn't seem like a holiday dinner if I didn't make roasted butternut squash with red grapes, onions and fresh sage - a favorite recipe from epicurious.com. Yes, I'm making the holiday regulars: mashed potatoes and gravy, green beans cooked in bacon. Demetrius will likely prepare his signature dish, spanakopita, because nothing says "Christmas dinner" like Greek spinach pie! Should you find yourself in Tulsa on Christmas Day and would enjoy some fun friends, fellowship, food and laughter, call for directions to our casa. We wish all a safe, joyous and merry Christmas! Santa's about to make his yearly stop at many houses this season. And, I don't know about you, but I for one already have an over abundance of toys at our house. With an 8 year old girl, I have more Tiny PetShops, Crayons, Barbie dolls, and stuffed animals than we know what to do with! 1. Separate all your kids' toys into categories. 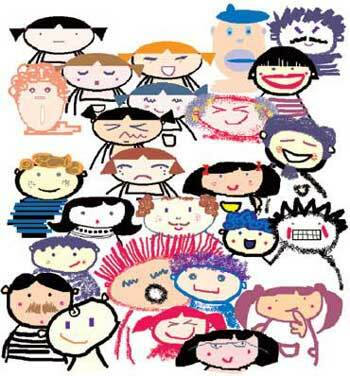 Building blocks, tools, dolls, reading materials, action figures and cooking items are all toy categories. 2. Make a list of your categories. List in the broadest possible terms. For example, you'll likely keep Barbie dolls and accessories together. 3. Decide on the best container (box, basket, bin) to hold each category. Clear, plastic storage boxes are the best choice for most toys. Consider a rolling cart for toys that kids like to move throughout your home. 4. Gather each category and measure. For example, stack all the building blocks. Measure dimensions and find or buy appropriate containers. 5. Set it up. Each toy should be categorized and should have a home to make clean up quicker and easier. If children know exactly where things belong, they are more likely to put them away. Now those are timely tips! Hope you can use them. I know I'm going to try! Chinowth & Cohen Realtors is proud and excited to offer a new service to our Tulsa area home buyers and sellers: text “CCTULSA” to 59559. A holiday and year-end gift from Broker Owners, Sheryl Chinowth and Lee Cohen, to all their associates and our clients is our new text-messaging service for home information – a great gift, complete with a bow! Home Buyers can text CCTULSA and send to 59559 to receive immediate information about the home on which they’re inquiring, such as list price, number of bedrooms, and number of bathrooms. No worries if the flyer tube is empty – just text us and get your questions answered right away. Home buyers benefit by receiving timely information and the c ustomer service they’ve come to expect from Chinowth & Cohen REALTORS. Home Sellers represented by Chinowth & Cohen REALTORS benefit by yet another method used to communicate with and advertise to home buyers. In addition to the most pristine printed publication, television show, and state-of-the-art web site, we can now advertise our Sellers’ homes via cell phones! Talk about “elite” service! Always forward-thinking and providing the “best of the best” sales tools to our associates, it is thrilling to be the first and only real estate brokerage in Tulsa to offer this service. Go ahead and program “59559” into your cell phone and when you drive past a home for which you’d like more information – just send us a text and enter ‘CCTULSA.’ Your questions will be answered promptly. We hope in the next few days, you will see these sign-riders attached to our home listings “for sale” signs. If you are shopping for a home in the greater Tulsa area, know that you will receive excellent representation and unprecedented communication from a Chinowth & Cohen REALTOR. If you are considering selling your home in the greater Tulsa area, shouldn’t you be listed with the Brokerage using cutting-edge technology to market your home? Call Chinowth & Cohen REALTORS today for more information, visit our web site, or – just send us a text! Lori Cain is a residential Realtor with Chinowth & Cohen Realtors serving the greater Tulsa Oklahoma area, including midtown Tulsa, Owasso, Broken Arrow, Bixby, Sand Springs and Jenks. 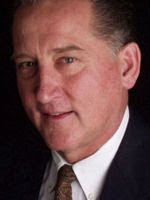 Please visit Lori's web site, LoriCain.com or call 918-852-5036. Mix softened cream cheese with finely diced green onions and chopped artichoke hearts. I use the canned artichoke hearts, drained. Buy pre-packaged square ham luncheon meat and roll the cream cheese mixture, as if you were rolling a cigarette. You HAVE to pack the mixture at both ends, to make sure there are no air pockets. Okay - I normally start with two packages of cream cheese, 2 cans of artichoke hearts, two to three bunches of green onions, and two packages of ham. If you wind up with extra filling, you can always use it as a dip with crackers! 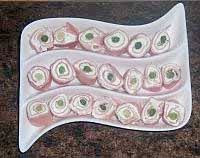 After rolling the ham rolls, refrigerate to harden, then slice before serving. It's best to slice using a serrated or very sharp knife. I tried this recipe with turkey one time, and I just missed the salty flavor of the ham. I have substituted hearts of palm for the artichokes, and that’s a nice change too. Good luck if you make this for a holiday party! Let me know if you make any revisions that improve my recipe! The magazine ranks Tulsa No. 19 and Oklahoma City No. 26 overall in real estate. Forbes Magazine has ranked the Tulsa area No. 19 on its Best Bang-for-the-Buck Cities list. The list, posted on Forbes' Web site, ranked the real estate markets in the nation's 100 largest cities by their affordability in areas such as home prices, property taxes and travel times to work. Forbes also took into account factors such as vacancies, foreclosures and job market forecasts through 2012. In October, the last month for which data is available, the Greater Tulsa Association of Realtors reported the average sales price of a home in Tulsa was $145,922, down from $161,767 in October 2008. In subcategories, Forbes ranked the city at 33rd in housing affordability, 14 in property taxes, 13 in unemployment, 45th in vacancies and 80th in the job forecast. Oklahoma City ranked 26th overall, 28th in home affordability, fourth in unemployment and 100th in the job forecast. The article noted that several cities across the Great Plains made the list, as the recession has not hit the region as hard as some other parts of the country. "This swath of prairie in the center of the country was somewhat buffered from the disastrous effect on coastal markets of the housing crisis, enabling it to emerge solidly from the recession," the Forbes story says. "Housing sales here kept a steady, if slow, pace during the boom." The top city on Forbes' list was Omaha-Council Bluffs, Neb., and Iowa; followed by Little Rock-North Little Rock- Conway, Ark. ; Jackson, Miss. 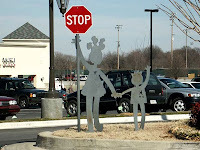 ; Des Moines-West Des Moines, Iowa; Augusta-Richmond County, Ga., and S.C.; and Wichita at No. 6. One Warm Coat . . . or REALTORS nag clients to clean out your closet! Realtors nag our clients about cleaning out closets before they put their home on the market, but this time, THIS Realtor is asking you to clean out your closet as a charitable act. "One Warm Coat" is a national effort meeting local needs: their goal is to provide any person in need with a warm coat, free of charge. Providing this simple yet vital need helps people live productive lives year round. You can organize a coat drive, or clean out your closet and donate a coat or TWO! Thankfully, in Tulsa, we have a long tradition of donating coats, started by Jim Giles, deceased anchorman for Channel Six News. You can take your new or gently-used coats to any Yale Cleaner location, and they will mend and clean your coats. The coats are then given to Catholic Charities for distribution. I just inventoried my coat closet. 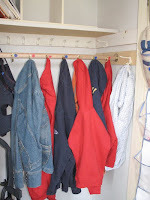 Three short coats, two full-length coats, one red coat, one black coat - I don't possibly NEED all of these! I think I might feel just a little bit warmer in my red coat if I knew that my black coat was keeping someone else warm. If you need a coat, call Catholic Charities at 949-HOPE or visit the Giles' Coats for Kids Distribution Center at the NEW Catholic Charities location, 2450 N. Harvard. Please bring a form of ID for each family member who needs a coat. If you live outside of Tulsa and wish to start a similar program, visit the "One Warm Coat" web site for guidelines and suggestion of how to start a drive in your home town. Sorry to be a nagging REALTOR, but do just one thing this week for me, and clean out your coat closet! You'll feel warmer, I promise! I grew up in Trenton, a west Tennessee town of five thousand people. I have wonderful memories of those first eighteen years, and many people in Trenton influenced my life in very positive ways. My football coach, Walter Kilzer, taught me the importance of hard work, discipline, and believing in myself. My history teacher, Fred Culp, is still the funniest person I’ve ever met. He taught me that a sense of humor, and especially laughing at yourself, can be one of life’s greatest blessings. But my father was my hero. He taught me many things, but at the top of the list, he taught me to treat people with love and respect…to live the Golden Rule. I remember one particular instance of him teaching this “life lesson” as if it were yesterday. Dad owned a furniture store, and I used to dust the furniture every Wednesday after school to earn my allowance. One afternoon I observed my Dad talking to all the customers as they came in…the hardware store owner, the banker, a farmer, a doctor. At the end of the day, just as Dad was closing, the garbage collector came in. I was ready to go home, and I thought that surely Dad wouldn’t spend too much time with him. I recently heard someone say, “If you teach your child the Golden Rule, you will have left them an estate of incalculable value.” Truer words were never spoken. Copyright Simple Truths, LLC, all rights reserved and reprinted with permission. Break out of your color comfort zone this winter. At first thought, winter might not conjure up words like spicy, bold or sunny. It should, though, at least when it comes to the inside of your home. While it might be gray and dreary outside, infusing color into interior decor is one of the quickest ways to create a cozy, inviting living area. And winter is the ideal time to do it.Adding a shot of color to a space can be done quickly, but it can sometimes be confusing. In fact, mastering the ins and outs of decorating with color can be downright daunting. "Although people love the idea of incorporating color into their homes, mixing and matching colors, patterns and textures can be an intimidating and overwhelming process," says Donna Schroeder, color marketing and design manager for Martin-Senour Paints. "Whether it's wall paint, new furniture or accessories, consumers might not have the confidence to step outside of their 'color comfort zone' and experiment with shades they might not normally gravitate toward." So, how do you break out of that "color comfort zone?" You can start by using available color tools such as those found in Martin-Senour's color selector. Not just about wall color, it offers unique tools designed to help you balance the entirety of a home's interior design as well as room-to-room balance and flow. From wall color to room accents, the color selector is a resource for complete home design.Having a basic understanding of color and knowing what emotions different colors can evoke also helps. Red - As the strongest color in the spectrum, red has the greatest emotional impact. Depending on the hue and shade, red resonates with passion, romance, energy and courage. In recent years, it's become a popular color choice for dining room walls, but the drama of red is also ideal for entryways, living rooms and even bathrooms. The color combination of red with neutrals, such as tans and browns, results in warmth that is certain to carry you through those cold months. Orange - Orange has evolved throughout the years; think terracotta and copper tones. It enlivens any space and can easily take center stage as a primary wall color, or as an accent color to give a refreshed decor a bit of much-needed punch. When paired with blues or purples, a spicier orange can be very powerful. For a more subdued effect, combine it with warmer colors like reds and deep, welcoming greens. Yellow - There is no better color to radiate warmth in your home than yellow, but don't underestimate the intensity of this color. Bright, strong yellows on walls are almost always best saved for an area like the kitchen because they are said to increase attentiveness and have "wake up" qualities. Creamier yellows - think the paleness of fresh butter - are popular in living rooms and can even translate well into bedrooms when joined with a classic red or blue. Purple - Purples have a powerful connection with our spiritual and introspective side. Because purple has varying degrees of red and blue in it, it's easily paired with many complementary colors such as yellow, orange and softer greens. When slightly redder, purple can be vivacious and exciting; when slightly bluer it can be restful. If you're using purple for a room, decide whether the room is designed to entice drama, as with an eggplant-hued purple, or cast an air of relaxation and reflection, as found in a hydrangea shade. Red, orange, yellow or purple, no matter what color you decide to use to help shut out those dark, chilly winter days, keep in mind that all colors can evoke powerful effects in any room. Understanding the basic building blocks of color can help you harness that power and create the stunning color schemes you've always wanted. Selling your home during the winter months - it IS a good time to sell! My Sellers are almost ready to put their home on the market (finishing up a few improvement projects), but they’re concerned about selling their home during the winter months. People still need (yes, need) to buy during the winter months. I have literally written a sales contract on Christmas day before. Many Sellers decide to hold off until spring to put their home on the market, so the inventory of homes available in the winter months is lower, hence Sellers have less competition. Particularly if your home is priced in a range attractive to first-time home-buyers, get your house on the market now. There are Buyers out there that needed just a little more time to clean up their credit or save money for the down-payment, and they are shopping NOW. Take advantage of the extension for the 1st-time buyer stimulus dollars! 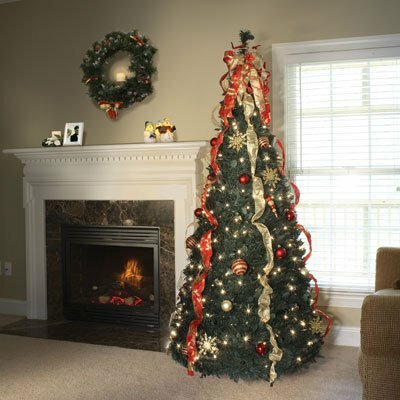 Selling your home during the winter months doesn't have to spoil your holidays. 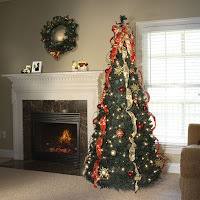 Decora te your tree and follow a few simple tips for preparing your home for sale during the colder season. The best available tool for sustaining the still-fragile housing market is the $8,000 homebuyer tax credit, and it is essential that Congress extend the credit into 2010, the National Association of Realtors (NAR) testified at a hearing of the U.S. House Small Business Committee in October. It’s increasingly likely that Congress will extend and expand the popular home buyer tax credit, which will expire at the end of this month. NAR Regional Vice President Joseph L. Canfora, also told the panel that a major stumbling block for consumers has been the implementation of appraisal processes spurred by the Home Valuation Code of Conduct (HVCC), which is causing delays in closings, as well as cancelled sales that led to artificially low existing-home sales numbers for August, reported last month. "The credit is working," Canfora said, pointing out that the 355,000 to 400,000 transactions directly attributable to the credit made a significant dent in the housing inventory and will help to stabilize home prices. Further, the credit has provided a huge indirect benefit to local governments, shoring up property tax bases in particularly hard-hit areas. Further, NAR data has estimated that every home purchase pumps into the recovering economy about $63,000 – the equivalent of one new job added to the employment figures. But, Canfora said, the threat of more foreclosures coming to the market caused by mortgage rate resets, job losses, and by lender’s unburdening themselves of additional properties to take advantage of today’s more stabilized prices could disrupt the fragile recovery. In a "normal" market, optimal housing inventory is about six to seven months, he said. When the tax credit was enacted in February, inventory was 9.1 months. Because of the spurt in homes sales since then due to the tax credit, inventory declined to 8.2 months in August, closer to "normal" than at any time since 2007. In urging Congress to extend the credit, Canfora said, "The more robust the credit and the greater its duration, the greater the chance that the housing market can perform its traditional role of helping the economy move out of a recession." "But problems arising from the implementation of the HVCC may reverse the market’s positive momentum at a time when the real estate industry is just starting to show signs of a rebound in many markets," Canfora said. According to an NAR survey of its members, approximately 40 percent of Realtors report having lost at least one sale since May 1 because of appraisal problems due to the HVCC rules. Twenty percent say they have lost more than one sale. The culprit, he said, was that appraisal management companies, which have gained prominence because of the HVCC, have assigned appraisers to areas where they lack geographic competence. That has resulted in unreliable appraisals. It is not uncommon that second and third appraisals have to be done to ascertain fair market value. Appraisal fees have also risen and are being passed on to consumers. Both Fannie Mae and Freddie Mac have issued guidance on appraisals, but NAR is calling upon the mortgage giants and the Federal Housing Administration to issue a consolidated guidance that should be codified and incorporated into the existing policy to ensure proper information on appraisals is available to the real estate industry. FHA Commissioner David H. Stevens has asked FHA staff to explore that recommendation with Fannie and Freddie. Last month, Stevens reaffirmed FHA appraisal policy, taking into consideration the unintended consequences that have burdened Fannie and Freddie, and issued two Mortgagee Letters focusing on appraisal changes. The policy reaffirms appraiser independence and geographic competence. The FHA announcement also included timely steps to protect taxpayers: implementing credit policy changes to enhance risk management; hiring a chief risk officer for the first time in the agency’s history; and shifting responsibility for mortgage brokers away from taxpayers to the lenders who use mortgage brokers. Canfora told the committee that FHA has performed remarkably well through the housing crises, compared to Fannie and Freddie. "That’s because FHA has never strayed from the sound underwriting and appropriate appraisals that have traditionally backed up their loans." "The reason the FHA capital reserve ratio fell below 2 percent had nothing to do with FHA’s current business activities. It is simply a reflection of falling housing values in their portfolio." He cited an FHA announcement that a 2009 audit will show that even if FHA does nothing, the cap reserves are expected to rise back to that required level within a few years. He also pointed out that FHA total reserves are not in as dire straits as some have reported since the cap reserve fund is not the only FHA reserve fund – FHA also has a separate cash reserve that is higher that it has even been – and the combined assets total $30.4 billion. Outgrown your starter home? NOW is the time to upgrade & here are three reasons why. It's time to sell that cute little starter home with two bedrooms and 1 bath that you bought after you got married and before you had two children. It’s time to pass that along to another young couple and find a larger home in a school district of your choice with a separate bathroom for the kids. You may have heard that the Senate & House extended the 1st-time home buyer $8,000 tax credit. They ALSO added a $6,500 credit for home buyers who have lived in their current home at least five years. Both have to have written contracts by April 30th and must close by June 30th. I know that you’re nervous about trying to buy a home while selling yours at the same time. The thought of double mortgage payments scares me, so I know it scares you. Here is a post I’ve written about how best to buy and sell at the same time – it can be done! Your home is likely to be purchased by a 1st-time buyer, so you really need to take advantage of this opportunity now that they’ve extended the deadline. And, the legislature added the $6,500 credit to existing home-owners needing to upgrade in an effort to stimulate the inventory of higher priced homes – something the 1st-time buyers couldn’t afford. So, what are you waiting for? The stars may not align like this again for quite some time. Visit my website, LoriCain.com or call 918-852-5036! I don’t know if every town has a “Garden Deva,” but we have one in Tulsa. And we’re darn proud of her. Tulsa’s Garden Deva is local artist, Lisa Regan. Lisa began cutting metal twenty years ago and after becoming somewhat successful touring art shows, she finally quit her “real job” and plunged into her art business full-time. She now owns a large studio east of downtown, which doubles as a venue for other local artists to show their wares from time to time. We have Devas all around Tulsa, as our community has embraced her spunky, cheerful, whimsical creatures, almost as a symbol of who we are in Tulsa. Her work can be seen all over Tulsa; in schools, libraries, parks, shopping centers, restaurants, youth centers, and private collections. 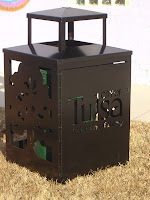 Lisa designs trash can covers used in our city parks and attention-getting Devas used in shopping centers. Lisa is as much a part of Tulsa as Tulsa is a part of her. We appreciate her creative spirit and the blood, sweat, and tears that go into hand-crafting Garden Deva’s wide range of iron sculptures, from her whimsical $20 cat statues to $3,000 landmarks. Lisa donates a lot of work, which is how I became familiar with her Devas. It didn’t matter if it was a Silent Auction for a domestic violence group, the Resonance Center for woman or any other charity I support, a Deva donation was included. Our Tulsa Garden Deva has been featured in Tulsa People, the Oklahoma Magazine, Urban Tulsa, and Southern Living magazine. We are proud of her! I buy many of my real estate closing gifts from Lisa, because I love to share her whimsical sculptures and enjoy the smiles they bring to my clients in their new homes – but also because Lisa gives back so much to our community. She really does pay it forward. Garden Deva Sculpture Company was commissioned by the U.S. Postal Service to design and fabricate the menorah used on the 2009 Hanukkah stamp. After the reveal ceremony in New York City on October 9th, the stamp is available nationwide at all post offices. The 2009 Hanukkah design features a photograph of a menorah with nine lit candles. The menorah was designed by Lisa Regan of the Garden Deva Sculpture Company in Tulsa, OK, and photographed by Ira Wexler of Braddock Heights, MD. Join us at Garden Deva November 6th & 7th, 2009 for the 10th Annual Open Studio Party. Come see over 35 local artists who work in everything from painting, pewter, ceramics, clothes, concrete, jewelry and more. While we shop and visit, we will enjoy local food, local artists and local music. Most of my friends have Deva artwork in their homes, offices or gardens. In fact, if I meet someone without a Deva, I give them one – I think it’s bad karma not to have one! If you don’t have a Deva in your town, we’ll share ours – you can shop online! A Tulsa favorite, HallowZOOeen is five nights of Halloween fun at the Tulsa Zoo. Kids and their families can visit the Pumpkin Stops for treats, ride the train at night and navigate the haunted Hay Maze! Lots of safe entertainment and not-too-spooky fun for kids 12 and under and their families! HallowZOOeen benefits America’s Favorite Zoo. Let the ghoul times roll with these bewitching decorating, costume, pumpkin-carving and party-planning ideas. 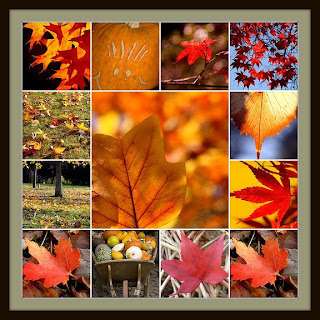 Everybody be safe, stay warm, and enjoy the beginning of Fall! Demetrius and I adopted Theodore (Theo) from the Collinsville shelter on Father’s Day this year. Hence his name, Theo – Demetrius’ middle name is Theodore, named after his father, Theodore. So, that makes our 4-legged family addition the third generation Theo. The shelter didn’t know much about his background, but we assume he was abused at some time. He shivered for weeks after we adopted him and would hide under furniture when friends came over. 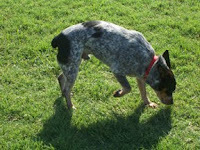 He’s a blue heeler mix, which are generally friendly and smart dogs – so we’re just loving him until he understands that he’s safe here. We take Theo to the Bark Park, and while he doesn’t play much with the other pups yet, he allows the people to pet him. We als o discovered that he knows how to fetch and can run pretty darn fast. He now has an entire collection of squeaky toys and tennis balls. Theo loves riding in the car, so I take him with me when I’m running errands or off to the grocery store. He is getting much more comfortable with our active lifestyle and loves hanging out with Mom & Dad. It’s hard to imagine not having a pup in our home. If you’re considering adopting a pet, visit the Humane Society of Tulsa’s web site. And if you'd like to do something special for your pet, visit my friends Danny & Rich's web site, the Spoiled Pet Cafe. They make organic treats and gift baskets for your pups. Funny thing about dogs - they love unconditionally. I have a pillow that is embr oidered, "I strive to be the person my dog believes I am." That's a pretty good goal for all of us. Lori is a residential Realtor with Chinowth & Cohen Realtors, serving the greater Tulsa area. You can contact Lori at 918-852-5036 or visit her web site, LoriCain.com! Bring the kiddos by the Oklahoma Aquarium for Trick-or-Treating!! Some of us are newer to becoming green in our lifestyles, so I’m starting out with a few small suggestions. Easy stuff. I have recycled for years, but it’s time to step it up a notch. Habits are hard to break and just as difficult to make. 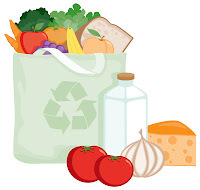 I am in the habit of taking my reusable shopping bags with me when I grocery shop. As long as I hang them on the door after I unload my groceries, it’s easy to remember to take them back to my car. When you’re in the check-out lane at the grocery and you are asked, “paper or plastic?” you can proudly produce your bags and respond, “neither – I brought my own!” Trust me – it will make you feel good. After much nagging from my eco-responsible Dad, I am filling my reusable wat er bottle with filtered water from home and cutting back tremendously from purchasing bottled water. Although we recycle our water bottles, we just don’t know whether they’ve been stored or transported in heat and what may possibly leach from the plastic. So, yes, I will still grab a bottle of water from a convenience store when necessary, but for the most part, it’s easy to fill and carry your own bottle. Many are available today that are dishwasher-safe. Now for the tough assignment. I shop online almost exclusively, yet retailers continue to send me printed catalogs. Usually I toss them in the trash wondering what marketing idiot thought to put me on a snail-mail list when I clearly shop online! Now, I am stacking up all the Harry and David catalogs, Williams-Sonoma, even Syracuse Cultural workers and taking time to CALL to be removed from their mailing list. It’s a time-consuming task, but almost as righteous as planting a tree yourself. When Demetrius and I remodeled our kitchen, we converted our entire house to energy-efficient light bulbs. We may have to take out a second-mortgage when it's time to replace them, as it was not an inexpensive endeavor. There's lots of good information on the internet about the newer bulbs available - here's a good "green" light bulb buying guide. It's my privilege as a Realtor to make suggestions to my clients when purchasing appliances or replacing a hot water heater. Why not replace those wood windows with energy-efficient vinyl windows or ditch that 25 year-old hot water heater and buy a tankless water heater? Here's a good site to assist you in making more green purchasing decisions. While you're at it -- look into the tax credits available for purchasing energy-efficient home improvements! 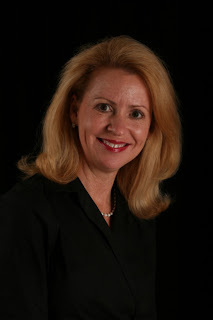 About the author: Lori is a residential Realtor with Chinowth & Cohen Realtors, servicing the greater Tulsa area. Visit Lori at her web site or call 918-852-5036. Although most people associate Halloween with ghouls and goblins, did you know that the holiday is actually rooted in a celebration of the harvest season? So why not GREEN your Halloween by paying special homage to the planet? There are plenty of ways to make your Halloween celebration as green as they get. Here are some great ideas from Kim Carlson, eco-expert and founder of EarthSmart Consumer Certified. DIY Trick-or-Treat Tote – Make a trick-or-treat container out of an old empty and washed out non-toxic brand paint can. Cover with construction paper or a collage of bats, pumpkins and witches. Or you can sew a Halloween motif fabric onto a re-useable cloth grocery store bag. Either of these can be used year after year. Earth Inspired Costumes – This Halloween, try making your child’s costume instead of buying a one-time use. Try creating a nature inspired costume like a caterpillar from a matching green sweatpants and a hoodie with pipe cleaner antennae. Or make wings from old scarves stitched together and attached to the underarms and side of brown or black hoodie. Non-Toxic Face Paint and Pencils – Instead of a plastic or rubber mask try a non-toxic brand of face decorating, Nova Naturals Face Pencils. Made from plant oils they are easy to apply, wash off and you can use them over and over. Or make your own face paints with plain yogurt and a few drops of food coloring. It will dry shiny with some texture. Edible Scary Show – Hang a white sheet from the ceiling with audience seated on one side and a table that is backlit on the other so the scene is projected by shadow on the sheet. One person (the surgeon) stands and another person (the patient) lies on the table. With the audience side of the room dark the surgeon pretends to do surgery removing body parts that are made from organic and local food – linked sausages for intestines, cold spaghetti noodles for brains, etc… . 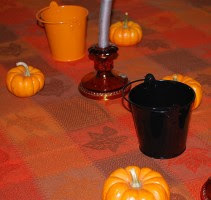 Party and Home Decorations – Use LED candles in pumpkins rather than candles. They burn cool and you can use them for other things throughout the year. Corn stalks and hay from decorative hay bales can be dismantled and spread on garden beds to help protect plants and shrubs from snow and ice. Pumpkins – Use up every part of the pumpkin that you can – make salted and roasted seeds. Keep the meat of the cut outs for soup or roasting like squash. If you do have pumpkin leftovers from jack-o-lanterns that are past their prime, compost them in your backyard. It will turn into nice black nutrition rich dirt for your spring gardens. So whether you’re out trick or treating or preparing to decorate your home for the festivities, keep the three R’s (Reduce, Reuse, Recycle) in mind while being kind to the environment. And if this is not enough, there are plenty of other ways to create your own Green Halloween celebration. Click here for more ideas. Located about 15 miles southeast of Tulsa, this quiet community provides residents the ease of suburban living with close proximity to metropolitan offerings like museums, shopping and dining. Broken Arrow has seen major growth in the past decade, thanks to home prices that start in the low $100,000s. Golfing is a chief pastime here, with seven courses in town and several just beyond its borders. Broken Arrow has a traditional downtown commercial district, with local shops and restaurants. The downtown also boasts the Broken Arrow Historical Museum, the Broken Arrow Community Playhouse, and a spanking new performing arts center, which will host its inaugural concert Sept. 29. Broken Arrow's hospital shut down a few years ago, and residents currently have to drive to Tulsa to reach the closest hospital. But construction began in March on a 96-bed hospital right in Broken Arrow. Plans for the development also include a medical office building and a retail center. --B.B. The race is on for first time home buyers to take advantage of the $8,000.00 tax credit. Buyers must have gone through process of finding a home, getting funding, and closing on a property by November 30th,2009. There are a lot of rumors floating around about the tax credit being extended or even increased but for now home buyers and sellers are racing to meet the deadline. The number of pending home sales in the $100,000 to $175,000 price range in Tulsa is proof that the stimulus is working for Tulsa. Homes in good condition under $150,000 are going fast. The last two I listed were sold in three days! So get moving! Literally! Call Robin Beene today at 918-906-9525 and I will make it happen! October 1, 2009 - Pending home sales have increased for seven straight months, the longest in the series of the index which began in 2001. After several years of study and data collection, the NATIONAL ASSOCIATION OF REALTORS® (NAR) developed the Pending Home Sales Index (PHSI), a new leading indicator of housing market activity. Based on the data from Multiple Listing Services (MLSs) and large brokers, the index provides advance information on future home-sales activity and offers more solid information on changes in the direction of the market than any of the indicators currently available. Specifically, Pending Home Sales become Existing-Home Sales one-to-two months later. This means that we can use an index derived from Pending Home Sales to predict actual home sales activity. The NAR Public Affairs Office issues a news release in the first week of each month on the latest index figures. Art in the Square occurs every October. Local artists showcase their works along Utica Square's sidewalks and we have a chance to meet our artists and purchase their wares. In the beautiful and crisp Oklahoma fall, this is becoming an annual tradition you won't want to miss! Beautiful Utica Square is the backdrop for over 90 local artists as they showcase their work. As you stroll down the tree-lined brick sidewalks, you can admire the different mediums of art ranging from watercolors, stained glass, pottery, sculpture, and woodturning. And if you see something that inspires you, stop and chat with the artist. Each artist is on hand to answer any questions you may have. This free event celebrates art and the art of shopping. Art in the Square, Saturday, October 3, 2009, 10 a.m. - 5 p.m.
Utica Square - Tulsa's finer midtown Shopping Centre - The many Tulsa midtown neighborhoods that I love - Terwilleger Heights, Maple Ridge, Swan Lake, Florence Park - all share a unique place to shop: Utica Square. Once considered the "outskirts of town," Utica Square is an anchor of midtown Tulsa. Built in the 1950s, Utica Square more resembles a village shopping area than an obtrusive shopping mall. Trees and benches are scattered throughout and most restaurants offer sidewalk dining. Referred to as "the Square" by locals, its charm and beauty are evidenced by the many clocks and the garden's bronze fountain and statue. With over sixty shops, Utica Square truly provides Tulsa midtown neighbors one-stop shopping. But, it's not just the great sixty shops that will keep you coming back to "the Square" - you'll become a frequent visitor once you are smitten by its charm and home-town atmosphere. And, "Art in the Square" is one of the many free attractions offered at the Square. See you there shortly after breakfast at The Wild Fork! The first major change to the $8,000 home buyer's tax credit began moving through Congress the last week of September, giving hope to real estate and building groups pushing for extension of the entire program before it expires November 30, 2009. House Ways and Means Committee chairman, Congressman Charles Rangel, a New York Democrat, combined several smaller bills into the "Service Members Home Ownership Act of 2009", with a floor vote expected soon. The bill is intended to correct a flaw in the original tax credit legislation: By requiring buyers to occupy and own their first home for 36 months to fully qualify for the credit, the program creates serious problems when military, Foreign Service and intelligence agency personnel are transferred overseas. During their absence, they are not occupants of their houses, and sometimes have to rent them out or sell. Any of these events make them ineligible to retain the $8,000 credit under current law. Ineligible buyers must then repay the credit to the IRS. Oregon Congressman Earl Blumenauer, sponsor of one of the bills consolidated into Rangel's, said "it is absurd that thousands of Americans serving our country, away from friends and family ... must choose between their service work and home ownership." The Ways and Means committee's bill would waive the repayment requirement when a service member must sell a home within the 36 month period because of a transfer to a new duty station or overseas, and would count service-related absences toward the 36 month requirement. Another provision in the bill would extend the $8,000 credit for another year for personnel who may have missed out on claiming the credit because they thought they wouldn't qualify due to an overseas posting. The credit for these individuals would be extended to November 30, 2010 from November 30, 2009, provided the served outside the U.S. for at least 90 days during calendar year 2009. The bill, which has bipartisan support, could be sent to the Senate for action as early as next week, Congressional sources told Realty Times. More important for the housing market overall, however, is the precedent set by the bill's extension of the credit for an extra year. It's not a far leap from that position to a general extension of the entire $8,000 credit program to the same date. The National Association of Realtors, National Association of Home Builders and the Mortgage Bankers Association jointly sponsored an ad campaign aimed at convincing Congress to give the credit program another year. If you missed it, one of our owners, Sheryl Chinowth, had a wonderful article published in the Tulsa World last week. Check out "Know when to improve and when to move" at http://tiny.cc/gtIkW. The article offers great advice on the age old question of whether to move or remodel. Build your own Greek dinner, buy a Greek cookbook with an area flavor, and imagine the sights, sounds, and smells of Mediterranean life at Greek Holiday, the 49th Greek festival, Sept. 24-26, 1206 South Guthrie, Tulsa (south of the Broken Arrow Expressway, between Denver and Houston Streets). 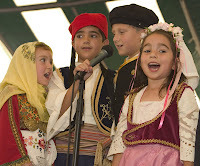 Greek Holiday, Tulsa’s oldest ethnic festival, will be open Sept. 24, 11 a.m.-9 p.m. and Sept. 25 and 26, 11 a.m. - 11 p.m. Admission is free before 4 p.m. daily or at anytime for anyone with a Greek Holiday food ticket purchased in advanced. 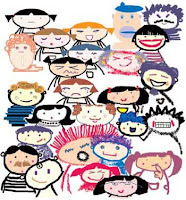 Children 12 and under will be admitted free throughout the festival when accompanied by parents. Sponsored by Holy Trinity Greek Orthodox Church (Holy Trinity), Greek Holiday features a wide variety of activities--dining from a menu full of delicious home-cooked Greek foods, ethnic dancing, shopping for home-made Greek pastries, Greek jewelry and gifts, and imported foods. “The people of Holy Trinity have hosted a Greek festival for more than 48 years and we are truly grateful for the support we annually receive from the Tulsa area,” said Demetrius Bereolos, general chairperson. “For a few days each year, we invite Tulsa and the surrounding cities to our ‘house’ to share our faith and culture. Greek holiday guests can build their own Greek dinner from 11 home-cooked items such as chargrilled chicken or meat shish kabob, gyros sandwich, lamb wrap sandwich [slices of baked lamb on pita bread with a fresh, creamy lemon-cucumber sauce (tsatsiki)], calamari, Greek-style potatoes, Greek salad with feta cheese and Kalamata olives, rice pilaf, and pita bread. The new a la carte menu also offers a Greek appetizer plate--dolmathes (grape leaves stuffed with rice), tiropiita (cheese pie), keftethes (Greek meatballs), spanakopita (spinach pie), feta cheese and Kalamata olives. New and featured this year is pastichio, Greek lasagna. To rinse the taste of garlic and oregano that accents many Greek foods at Greek Holiday, there will be soft drinks, Greek wine, beer and Greek coffee. A meal of Greek food and beverages would not be complete without tempting Greek desserts such as the famous baklava (layers of philo dough filled with cinnamon and nuts and covered with honey). Also available is galatoburko (a custard pastry), kourambiedes (a butter cookie covered with powdered sugar), koulourakia and finikia (baked cookies best served with coffee), and loukoumades (honey puffs). Ancient traditions will come to life on stage, as dancers in authentic ethnic costumes, age 5 to 55, perform dances that are hundreds of years old and that tell stories of harvest, wars, love, and passion for Greece. To learn more about the role Greek Orthodox religion and traditions play in our culture, tours of Holy Trinity will be conducted throughout Greek Holiday, under the direction of Father William Christ. Portions of Greek Holiday proceeds will be donated to Tulsa-based charities. In the past, American Red Cross, Community Food Bank of Eastern Oklahoma, Emergency Infant Services, Habitat for Humanity, John 3:16 Mission, Make-a-Wish Foundation (Oklahoma Chapter), and Resonance have received donations from Greek Holiday. Tulsa identified as "city of the future"
Accolades for Tulsa continue to roll in with fDi magazine’s “North American Cities of the Future” list. Tulsa was named the No. 8 small city of the future. fDi’s list took six months of research to compile with data from nearly 400 North American cities. The magazine, which benchmarks global locations on foreign investment appeal, used six categories to identify cities of the future: economic potential, human resources, cost effectiveness, quality of life, infrastructure and business friendliness. Cities were categorized by population in order to make data more comparative across city sizes. Tulsa fell into the “small city” category with a population between 100,000 and 500,000. When you are selling your home, it immediately becomes a product that buyers compare with all the other homes they look at. Preparing to have your home look its best is a very smart idea. However it is easy to spend time and money on things that may not help all that much, and could even have a detrimental effect. Hiring professional help to put your home’s best face forward is a relatively new phenomena. 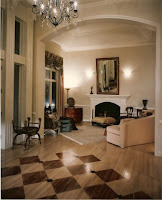 Most Interior Designers think they can stage homes and most Staging Professionals think they can do Interior Design. There is some crossover, true, but the philosophies and purpose are very different. There is much more training, talent and skill needed to be an effective designer than most Staging Professionals possess. On the other hand, many designers don’t really understand the common sense or purpose behind Staging. When you are living in your home you usually want to express your individual tastes. You want it to look great, but you want it to be YOU! Enter the Interior Designer. The objectives are different when you are staging your home for sale. You don’t want the prospective buyer to fall in love with your decor, or be green with envy over your art collection, or focused on your great black and white photography collection of your children and pets. You want them to be able to focus on the HOUSE! You want them to get a vision of how their things and their famliy could fit in it. You don’t have to pack up and move completely out leaving it empty, but almost every home needs a little editing. We all accumulate a lot of stuff and a little early packing is in order. Staging is not rocket science! Much of it is common sense. Much of this is realted to Clean Up...Clear Out...Fix In...Fix Out! If successfully accomplished, prospective buyers will be able to view your home at its best. Best because its good features will be discovered and enhanced and they can see and feel themselves living there. That usually means a faster sale and a better price! Buyer’s Market or Seller’s Market? Good time to sell or good time to buy in Tulsa? In Tulsa, our inventory of homes for sale is higher than it has been in several years, but between Buyer incentives and low interest rates, our Buyer activity is high. Which leads us to the logical conclusion . . . if it’s a good time to buy, then it has to be a good time to sell! Although the stimulus money deadline is drawing near, the interest rates buyers can obtain are still extremely attractive. 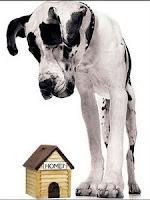 If you are ready to downsize, there is a family out there that is ready to leave their starter home for a larger home. And there are first-time Buyers who will be interested in that starter home you are leaving! Because the inventory of homes is high, your home MUST BE in move-in condition to sell. Because Buyers have much from which to choose, they will not consider homes that need work. Your home must be priced correctly. If the average home in your neighborhood sells for $80/square foot and yours is priced at $100/square foot, Buyers will not consider it. An over-priced home will be on the market longer and endure price reductions – two things that actually “lessen” the value of your home in the Buyer’s eyes. Your home must be marketed aggressively. With almost 90% of the Buyers searching for homes on the internet, photos and virtual tours of your home must be plastered on numerous web sites. Move-in ready, priced correctly, marketed aggressively – the winning strategy to selling your home in Tulsa! I would be happy to sell your house - please call me! 1) To open a sealed envelope, put it in the freezer for an hour, then gently slide a knife under the flap to break the seal. You can then reseal it. 2) To clean artificial flowers, pour some salt into a paper bag, add the flowers and shake vigorously. The salt helps to dislodge and absorb the dirt and dust. 3) To remove an old candle from a glass candle holder, put it in the freezer for a few hours, then turn it upside down and tap. The old candle will fall out. Any wax that remains can be more easily scraped off. When the hot weather breaks and the mail brings the notices for the kids’ school, it means many things. One of which is the realization that the time to complete outdoor home projects is running short. You don’t have to read the Little House series to know that the way people survived was by spending the summer getting ready for winter. The limiting problem is always paint. You can’t paint outside when it’s below 35F at night. Every outdoor project needs the protection of paint to make it through the winter intact, and that’s something we need to get done in September. When the weather gets that slight chill in it, there’s a real temptation to sit back and enjoy what is left of the summer. It’s our reward for getting through the bad weather of winter. September can be a beautiful month and there’s still time to enjoy it, and plenty of time to sit in the rocking chair. The cooler end of summer lasts a fair amount of time, so take advantage and finish off those nagging outdoor projects.